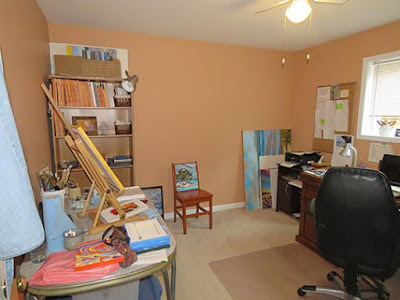 I decided that February was the perfect time to clean, paint and re-organize my studio / office. 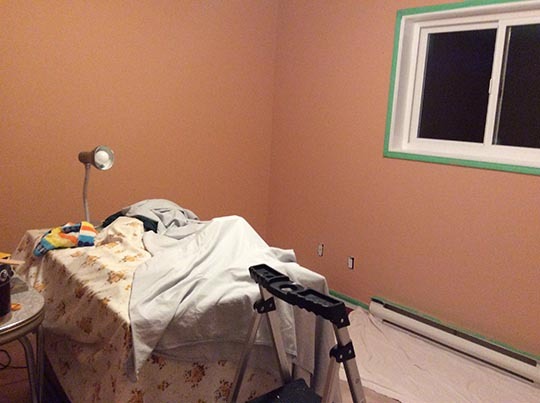 I started the arduous task of taking everything out, so I could strip the wallpaper trim (ugh), and wash the walls. The wall colour was a minty green. Once the room was emptied, and cleaned, my husband Jeff lovingly painted the walls. I struggled a bit choosing the perfect paint colour. 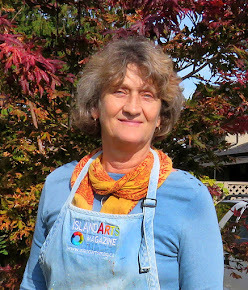 I did a google search; 'best colour for studio.' Some sites suggested a plain colour like beige, other suggested neutral grey. What? Then I thought "Ha, this is my space, I spend the most time in here, so why not paint it a colour that I like?" I choose the same warm terracotta that we used on the bottom half of our living room. It's from my favourite colour palette and ties in nicely with the rest of the house. The reorganizing took a bit to figure out. I didn't want to put everything back the way it was. This was also a good time to go through and get rid of 'stuff'. 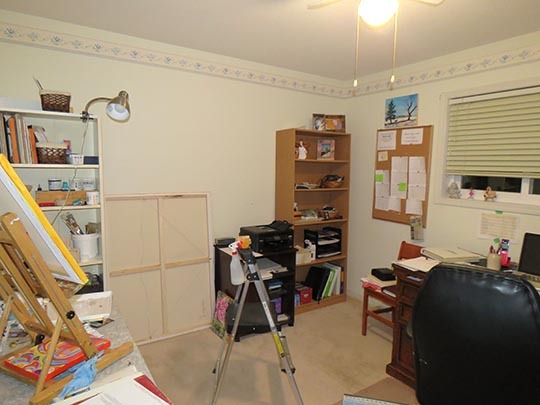 The wooden bookcase was moved over to the left and became part of my paint station. It also blends in with the wall colour. 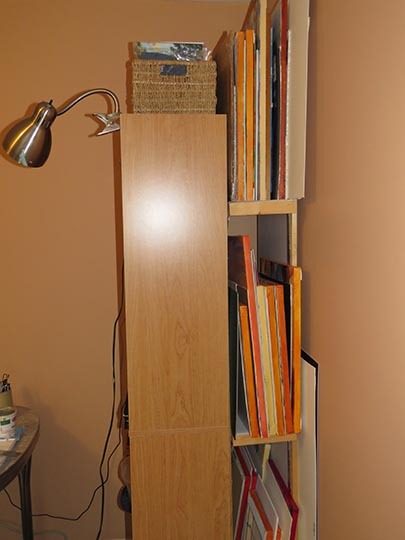 Behind the bookcase and out of sight is a shelving unit that Jeff built specifically for my canvas. 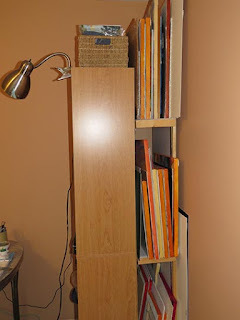 Last but not least, I thought that I could eliminate the white book case from the room, freeing up some more space. I asked my husband to retro fit the bookcase, so it would slide into the closet. 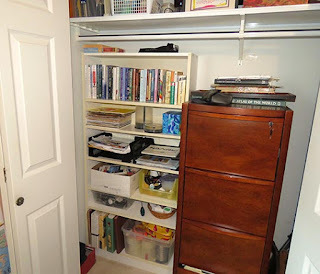 It is usable, but once you close the closet doors, voila it is out of sight. I absolutely love the new look. Now...back to work! Looks really nice, Susan. Im sure it will make your work easier and more fun.